A sweet, bite-size snack to give you a boost of energy in the afternoon. Discard green leaves from strawberries. Rinse clean and halve. Place all ingredients into a food processor. Process well until a dough forms. Rolls into balls. Enjoy chilled. * Due to the saturated fat content of coconut, it is classed as a discretionary food. Alternatives for coconut include unsaturated fats such as nuts or seeds. Kids love this recipe! 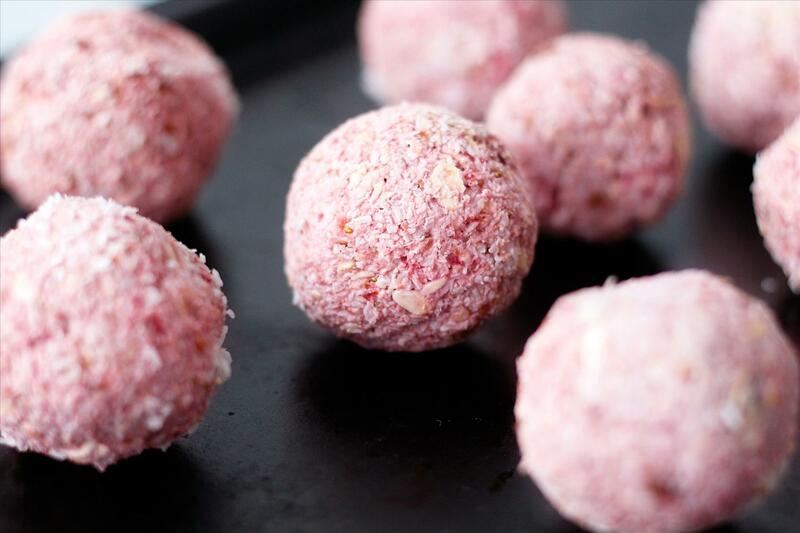 They can help with the preparation of the strawberries, measuring out the ingredients and rolling the mixture into balls.